Centrally located next to The Leela Palace, this service apartment is the latest landmark in Bangalore's budget hotels and is walking distance to Manipal Hospital. The entire service apartment is Wi-Fi enabled and offers only housekeeping and laundry service, apart from lodging. 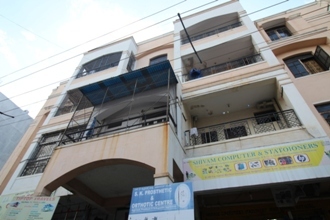 Close to major shopping districts, the apartment is also close to the commercial areas, namely M.G Road. Most of the restaurants, theatres, shops, and pubs are in the vicinity, making it an accessible stopover.